Why Use a Deed Poll? Why Should I use a Deed Poll? You have 2 approaches you can take to changing your name. You can get a Statutory Declaration drawn up by a solicitor or purchase a Deed poll document. This was the traditional route through which people used to change their name. You invariably needed a solicitor to draw up the Statutory Declaration and a Justice of the Peace or Commissioner of Oaths to witness your signing of the Statutory Declaration. Making a Statutory Declaration was the standard way to change your name but entailed the high expense of using a solicitor, a fine thing if you have the money to spare. The Change of Name Deed, as the Deed Poll document is more officially known, has come into its own in the last 10-20 years and has rapidly replaced the Statutory Declaration approach. Since you no longer need a solicitor, the whole process is a lot cheaper and has now become the norm. Today the Deed Poll approach is better recognized and more accepted than the traditional Statutory Declaration approach. Our legal Deed Poll documents are guaranteed to be accepted by all organisations within the UK, and allow you to officially change your name. 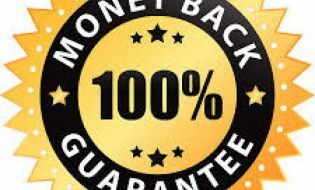 Please see our full 100% money-back guarantee.